Once again, the few local ingredients and simple directions have proven to be the best recipes. I spend my days researching recipes online and through old cookbooks. Trying to come up with creative concoctions that impress the basic and experienced cooks. But time and time again I have realized that when you take a handful of ingredients, making sure they are the best quality you can find and afford, that is all you need. The quality ingredients have a chance to shine through without being masked by other competing flavors. This recipe has 3 ingredients, 2 if you just do one type of chocolate. And they are the best thing I have made all summer. The chocolate instantly hardens and creates a seal over these sweet juicy cherries. 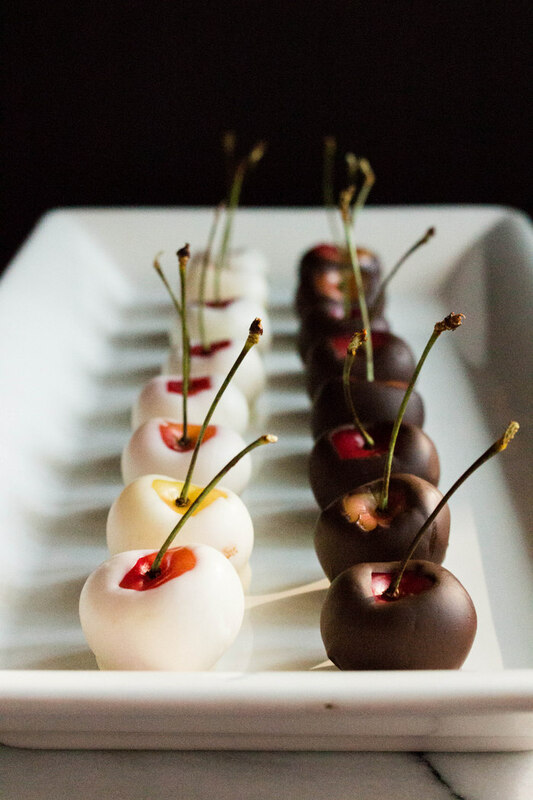 Keeping them cold in the fridge, these chocolate covered cherries have become by new summer time its too hot to make something snack. If white chocolate is not your favorite, believe me, it's definitely not mine. Please, still give it a try. Because the white chocolate, are without a doubt my favorite! Every year I debate which variety of cherry I love more. Dark sweet Bing's or these beautiful Rainier's. Really, they are both good, fantastic I should say. Crisp on the outside, sweet juicy flesh. 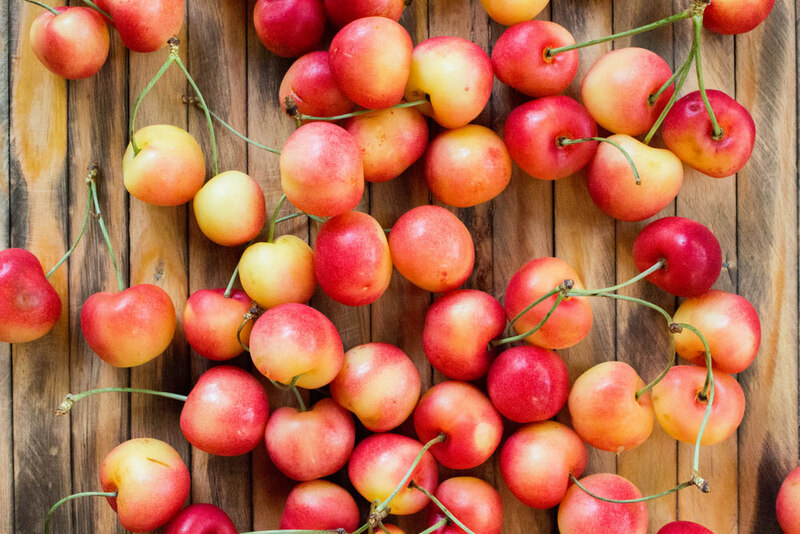 I love cherry season, but it goes by way too fast. If your preference is a dark cherry, this recipe can easily be adapted. I created this for The Fruit Company, click here for the full recipe!